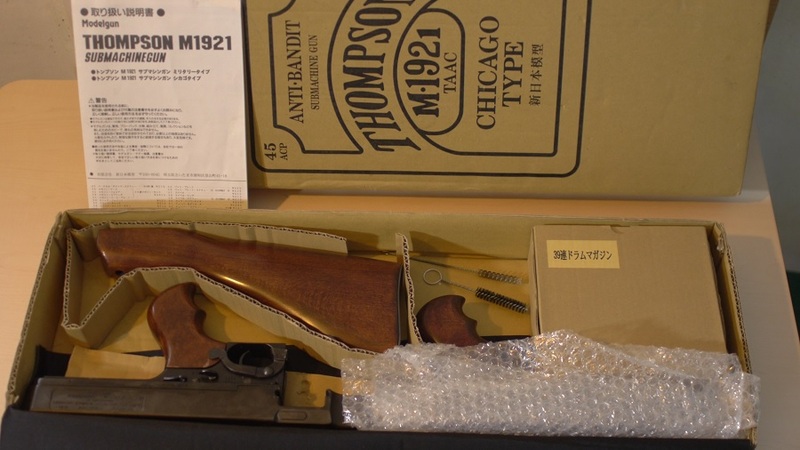 I'm selling a MGC Cap Firing Thompson M1921 Chicago. It has the two styles of mags, the drum and the stick. I have only fired it a couple of times. It also comes with firing caps and the brass cartridges. It's in the original box. I got it brand new straight from Japan and used it twice! 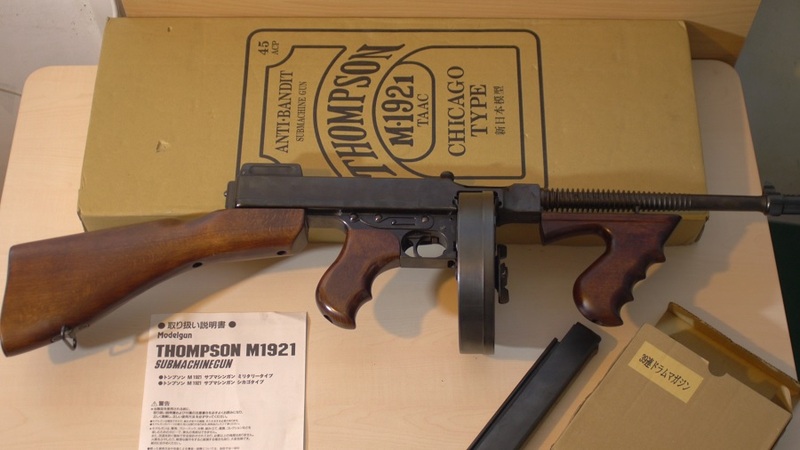 As most know, this is the ultimate Thompson sub machine gun replica. It's full size 1:1 and made of real wood and metal. No plastic parts. It ejects the fired caps when it shoots and the effect is 100% realistic! But this is a 100% safe replica! 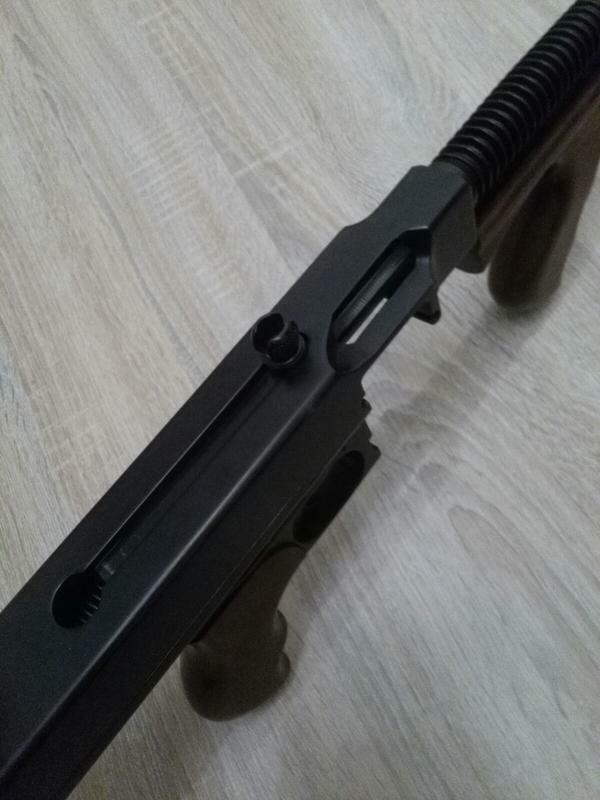 This is not a real gun. THIS IS NOT A REAL FIREARM AND ABSOLUTELY CAN NOT BE MADE TO FIRE LIVE AMMUNITION! If interested please PM me. I'm considering any reasonable offers. An asking price would be handy for me to decide about buying this. Sorry. 400 Euros or best offer. Adding a picture as requested by PM. And please no time wasters. This is a heavy and long item. Shipping overseas or abroad will not be cheap. Only contact me if you are truly interested and not just looking for a bargain. Cheapest decent shipping will be at least another 100.